Taco’s make a great mid-week meal and if you stick to the basic minced beef filling you can have a tasty meal on the table in no time. 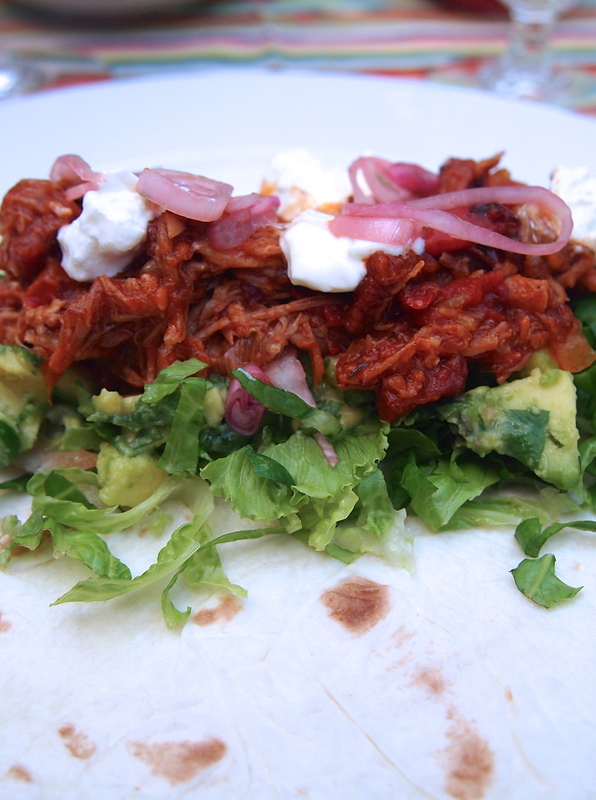 But if you want to take things up a notch this pork tinga recipe elevates the taco to a new level. 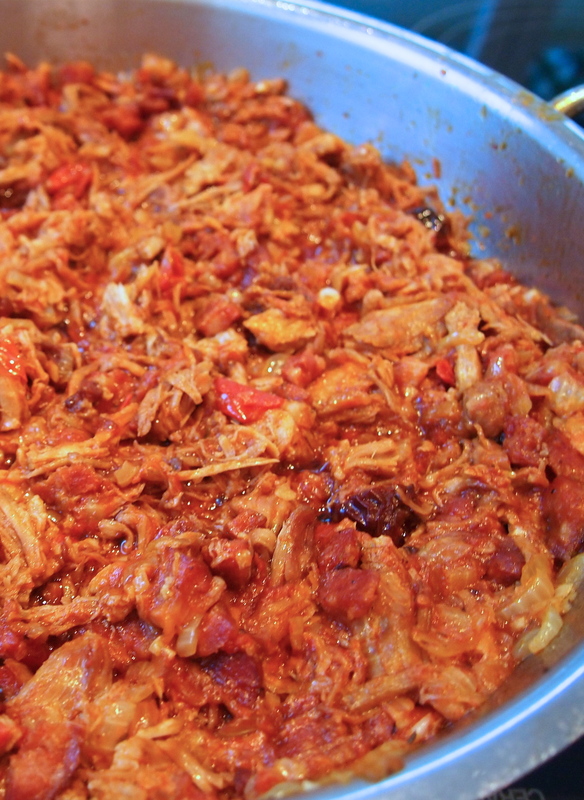 Pork tinga is a Mexican stew of slow cooked pork which is shredded and then braised in a tomato and chorizo sauce that’s spiked with smoky chipotle peppers. I can’t tell you how good this is and it actually tastes like “real” Mexican food and not the imitation packaged flavours that were used to. This stew is so full flavoured that it’s best to keep the taco sides simple. I like to use shredded lettuce, avocado, sour cream and some lightly pickled red onions, roll this up in a soft tortilla and you’ll be in taco heaven! 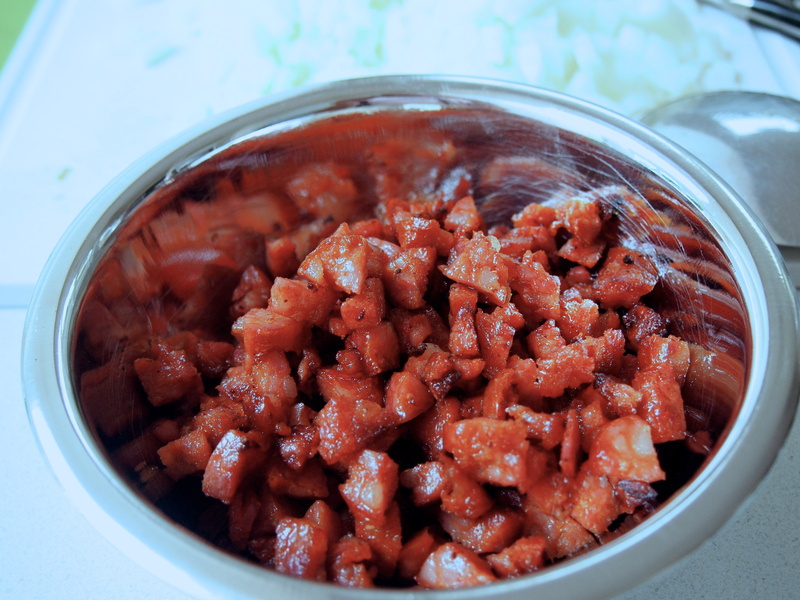 Tacos no longer need to be kept solely for quick weekday dinners – made with this pork tinga filling they’re good enough for any occasion. Season the pork with salt and pepper. Heat the first measure of oil in a heavy bottomed pan over medium-high heat, when the oil is hot add the pork and lightly brown on all sides. 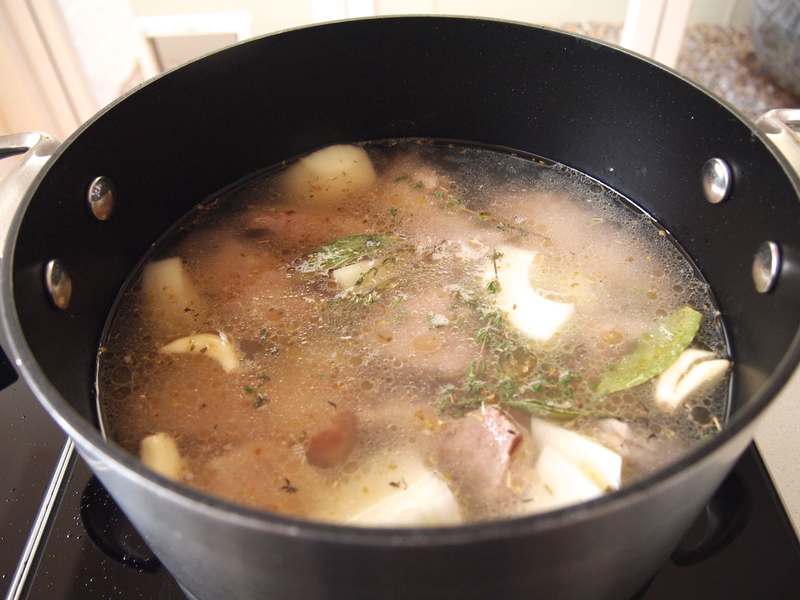 Add the first measure of onion, garlic, thyme sprigs, bay leaves and enough water to cover the pork. 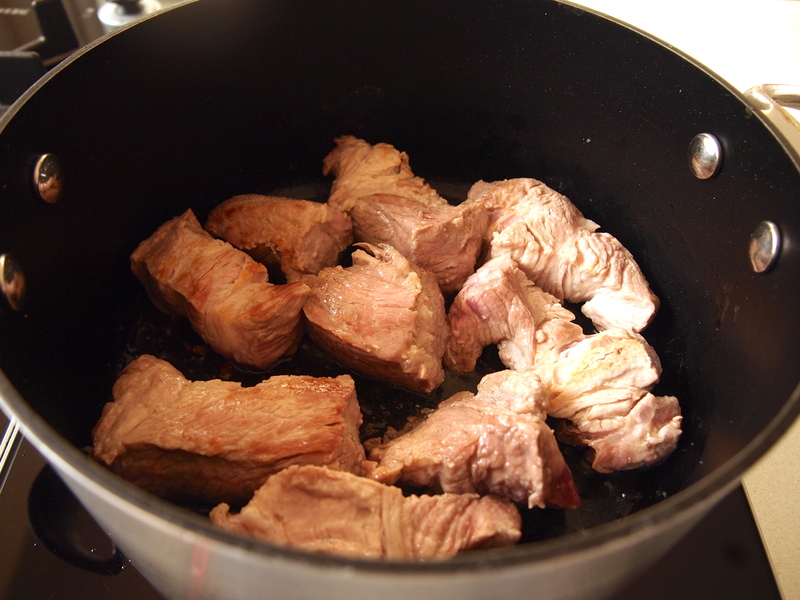 Bring to a boil, reduce the heat to low and simmer until the pork is tender, depending on the cut and size of the pork it should take about an hour or slightly longer. 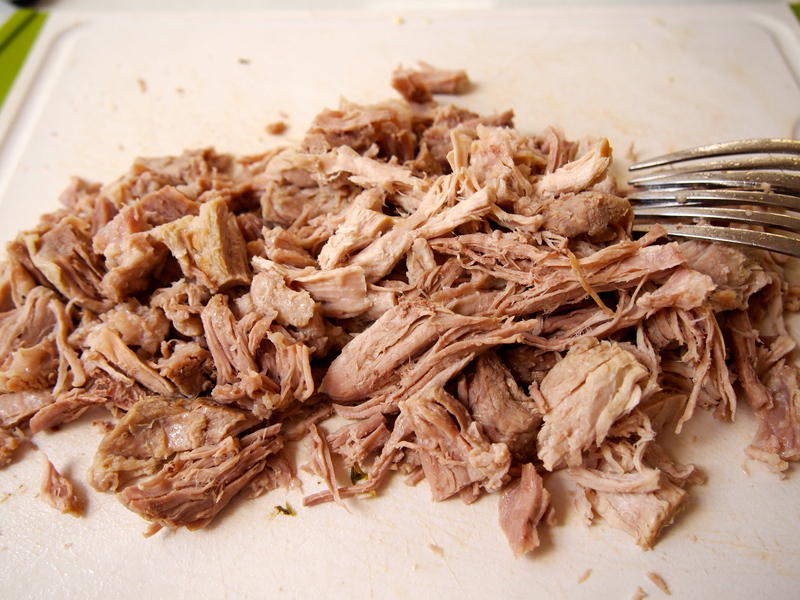 When the pork is cooked remove it to a board and shred it using a couple of forks and reserve the broth. Heat the second measure of oil in pan over medium heat, add the chorizo and cook until the oils have released and it’s starting to get crispy. Remove and set aside leaving as much of the oil in the pan as possible. 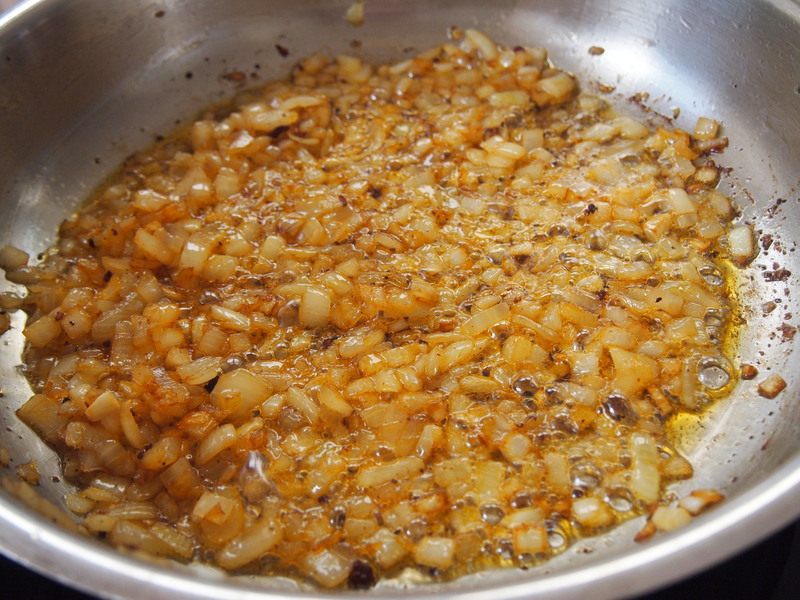 Add the onion and a large pinch of salt and cook until tender, about 8 minutes. Add the garlic and cook for a further minute. Add the shredded pork back to the pan along with 1½ cups of the reserved pork broth, the chorizo, tomatoes, chipotle chilies, oregano, smoked paprika and thyme and bring to a boil, reduce the heat and simmer uncovered for about 30 minutes or until the stew has reduced to a nice thick consistency, keep in mind you’ll be using this as a taco filling so there shouldn’t be too much liquid. Season with salt and paper then stir through the vinegar. 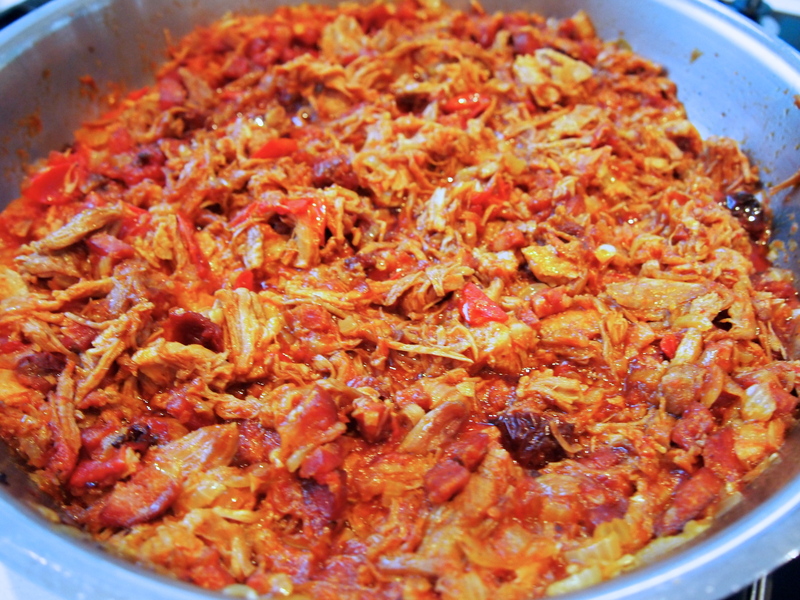 Remove from heat and serve with warm tortillas and your choice of taco sides (see note above).